The (crazy) days of the small forms of theater at the Abbey. Several short shows based on folk tales and fables from the Middle Ages will be on the program. Theatrical play, human-sized puppetry and puppet shows will be played for the widest audience. Our troupe will also open its treasures by offering two exhibitions of its old creations. The curiosity of each and everyone will be filled thanks to our explanations and our demonstrations. 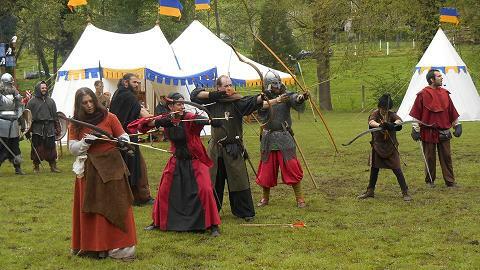 The Abbey of Mortemer organizes in 2019 its 21st Medieval Festival. 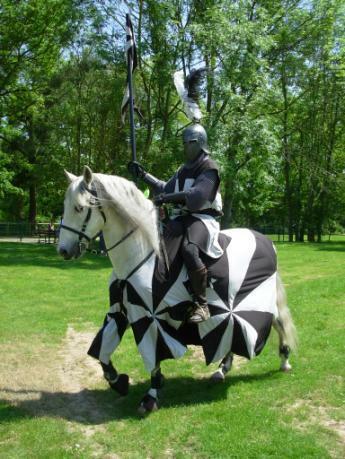 During these two days, the Galop of History will present a new tournament of chivalry. Celestiaes will also be present to help you discover medieval music. 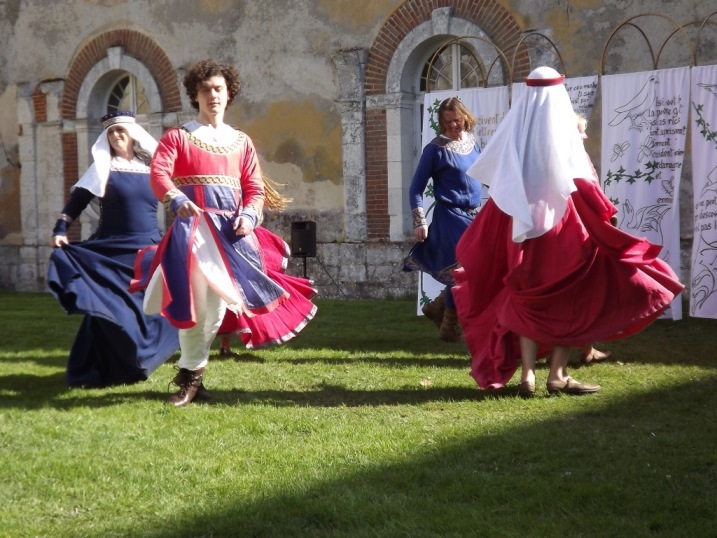 Foot fights, medieval dances (in which the public is invited to participate) and many other activities are also on the program. The craftsmen of the medieval market will make you discover their specialties. Jewelry, wooden weapons, hypocras, honey will be proposed for example. For a total immersion, costume loans for young and old are possible. A large parking is offered on site, as well as catering (Le Bistrot du Bec Fin and La Crêpe d'Antan). Arm yourself with courage, coolness and a flashlight, and let them guide you to discover their sometimes solitary existence. It is also a good opportunity to discover the ruins of the Abbey at night in a mystical atmosphere illuminated by a starry sky or a moonlit night. From 9 pm, the groups will leave every 20 minutes for a supernatural walk of 1:30, in the darkness conducive to the appearance of spirits ... Visitors will spend an unforgettable evening with ghosts, filled with dark humor, laughs and unusual encounters. The Mortemer Abbey will meet you in April 2019 for the launch of its new cultural season. Discover without delay the detailed program of these events! As every year on the occasion of its cultural season, the Abbey of Mortemer which operates under associative status is looking for volunteers to participate in different ways to the shows that will take place in July, August and September 2019. For all these events: our association also looks for people of all good wills and able to welcome the public. The reception of volunteers is essential for the good conduct and success of these events: We are counting on you to share this call as widely as possible! We thank you for your help and for your participation! Ghost Nights are bowing this season and we thank you for being so many to come and watch. From the 1st of October, Mortemer Abbey welcomes you on Saturdays and Sundays from 1.30pm to 6pm. Come discover the places in the colors of autumn! Ghost Nights were a hit on the first night! Ghost Nights are still as popular after 13 years: the first of five Ghost Nights 2019, held this Saturday, was a huge success! 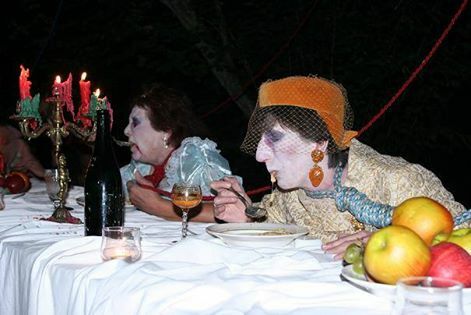 Every year, the Mortemer Abbey offers you the opportunity to meet the famous ghosts who haunt the site during a unique and exceptional performance. Animations, suspense, humour and thrills await the new visitors as the regulars of the places. It is also the occasion to discover our magnificent Abbey founded in the 12th century and its superb reflections in the large ponds with the help of beautiful plays of light. Don't hesitate to reserve your tickets quickly for the performances every Saturday evening in September : there won't be any more soon ! From September, the park of the Abbey will be open to visitors from Thursday to Sunday, from 11am to 6pm. Guided tours of museums will be on weekends from 1:30pm to 6pm. Do not forget to register early enough for the new 2018 Ghost Nights, which take place every Saturday night in September (limited seats! ): Book online. Ghostbusters Night: remember to reserve your tickets! Every year, the Ghost Nights, the flagship event of the Abbaye de Mortemer, are sold out! Again this year, we recorded a record number of bookings. The 13th edition of Ghost Nights will take place every Saturday evening in September starting at 9pm. Discover now the program of this great time at the Abbey of Mortemer and do not delay to reserve your places for Saturdays 1st, 8, 15, 22 and 29 September ! Go to our booking page! Mortemer Abbey is all over the news! Newspapers, radio and websites did not fail to mention the new 2018 cultural season of the Abbaye de Mortemer, which celebrates this year the 20th anniversary of the Medieval Festivals. 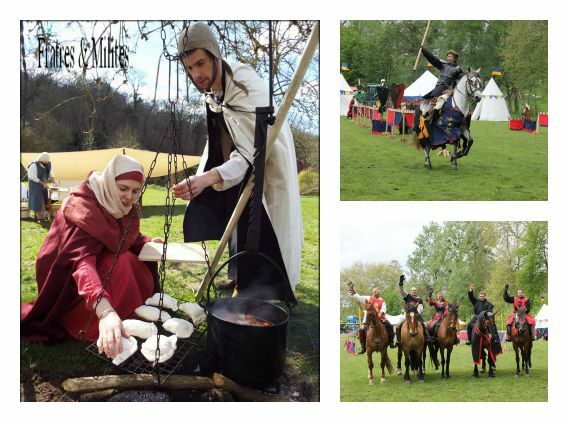 To celebrate their two decades of existence, the Abbey's Medieval Festivals will always welcome more fascinating animations, activities and troupes to discover, and you can still book your places online. 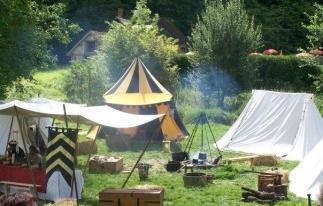 The Great Medieval Festivals are approaching! 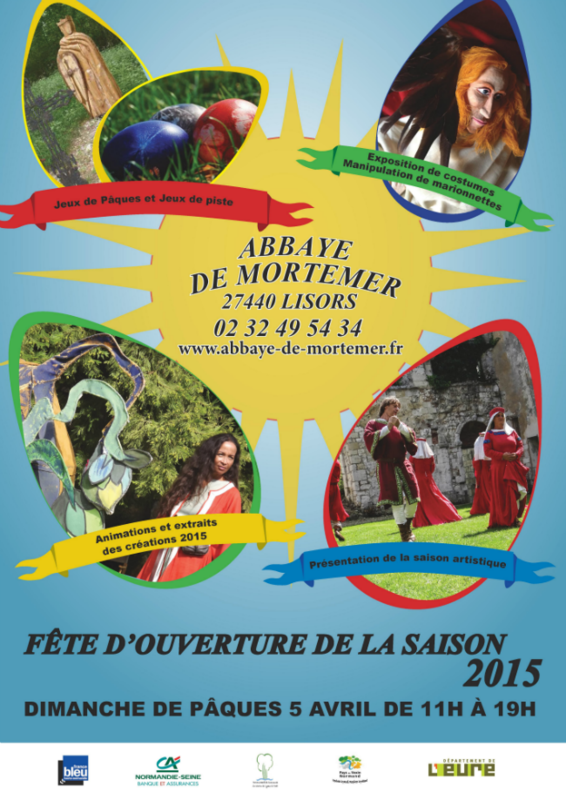 For two days, the Abbaye de Mortemer invites you to dive into medieval times. Between tradition and novelty, festivities and animations will take place all day in the magnificent setting of the Abbaye de Mortemer. Pretty novelties await you for this 20th edition! Discover the detailed program of these two days full of activities and entertainment for the whole family! And don't hesitate to book your tickets online to make sure you don't miss the event! From 11am, find our animations which will plunge you into the XIIth century! 9 euros for children from 6 to 16 years old. Sunday April 1st, on the occasion of Easter, the Abbey of Mortemer welcomes you for an animation for the least unheard of: a soap bubble contest for children! You must bring your own equipment. We will provide a tube of soap free of charge to the first 40 children. For those who arrive in the morning (from 11am), a small booklet of games around the Middle Ages will be distributed to your children. And of course chocolates will be at stake! In February, the doors of the Abbey reopen every weekend to let you discover its mysteries and secrets! Within its walls, Mortemer is home to a very old 12th century stone sink, the Sainte-Catherine Fountain, from which a crystal clear water with magical properties springs... Traditionally, singles from all over France came to throw a coin, hoping to meet the loved one during the year. During the month of February, the Abbey is of course open to everyone without reservation, and allows you to discover its superb ruins and ponds in unique conditions. and it's really not funny. that we come to pray. Opening dates: Every weekend in February, Saturdays and Sundays 3 & 4,10 & 11,17 & 18, and 24 & 25 February. Opening hours: from 13h30 to 18h. Exceptional opening in January with reduced price! Mortemer Abbey will exceptionally welcome you on the weekends of 6 & 7 January and 20 & 21 January, from 2 PM to 5.30 PM. Each visitor will receive a discount of € 2 per person! The opportunity to experience an original discovery of the park, the dovecote, the path of the Dukes and museums in a winter atmosphere! Looking forward to welcoming you, we wish you a happy new year. The Abbey of Mortemer will close its doors on November 27th: we invite you to continue with us via social networks, until the news on the next season! From 1st September, the Abbey of Mortemer will be open daily from 1:30 pm to 6:00 pm. Guided tours will take place from 2:15 pm to 5:15. Do not forget: until September 23 will be held every Saturday the new edition of the Ghosts Nights. A show that is played every year sold out: so make sure to book your tickets now via our online ticketing service! 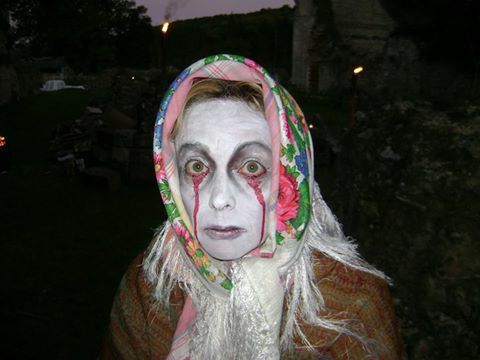 Unique cultural event in France, the Nights of the Ghosts of the Mortemer Abbey allow you to discover the Abbey and its famous ghosts, who have been living there for several centuries! Many visitors of the Abbey are attracted by the incomparable and mysterious atmosphere of this famous place of Normandy, where strange and unexplained phenomena take place. Mortemer proposes to discover this mystical place in an original and unpublished way: by night, in the company of a guide knowing the place perfectly. Using a simple flashlight, take a walk on the dark and intriguing paths that surround the Abbey and wind through the ponds to witness different scenes that await you during your journey. If the haunted character of the Abbey is no doubt, the Nights of the Ghosts have above all a vocation to make the public discover this magic place in a new way, while presenting in a humorous way those characters whom you can find in many legends for centuries. For this 12th anniversary of the Nights of Ghosts, Mortemer offers you a new and unprecedented creation for all audiences. Do not hesitate: 5 exceptional evenings await you in Mortemer, taking place in a mysterious atmosphere that will delight fans of thrills and sensations, and maybe you will have the chance to get in touch with one of the many ghosts who haunt the Abbey! 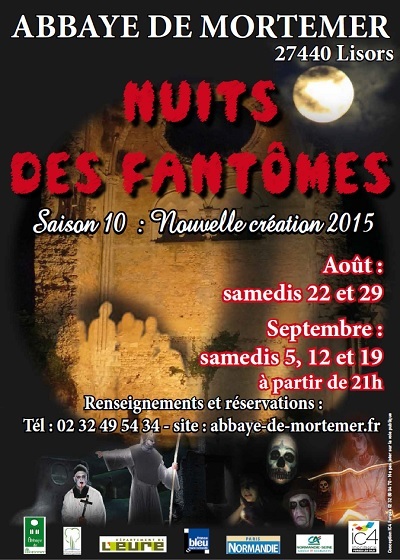 12th edition of the Nuits des Fantômes, at the Mortemer Abbey. On Saturday, August 26, and on September 2, 9, 16 and 23, starting at 9 pm. Don't forget to bring a flashlight ! The press talks about us ! The regional newspapers Paris Normandie & Tendance Ouest, alongside the travel magazine GEO, have recently published articles devoted to the legends and shows of the Abbey of Mortemer. NB: Don't forget to book your tickets online for the last performances of our show about Empress Matilda, which will take place on the 22nd and 23rd of July at 4pm ! To discover in August: Big medieval festivals! Festivities devoted to the glory of Empress Matilda and animations will take place all day (from 11am to 7pm). 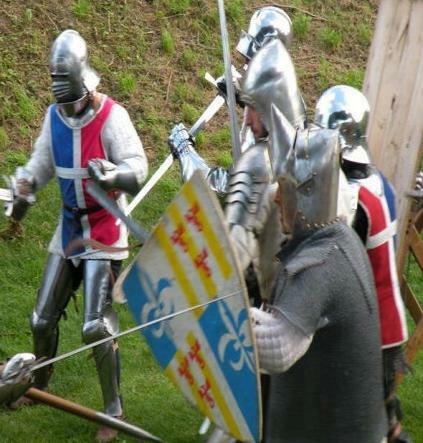 This year, you will have the opportunity to meet the troop Les Galops de l'Histoire, through interactive animations, such as tournaments of knights, initiations to fencing for children, a knighting ceremony, jousts and tournaments on ponies for children. You will also be able to discover for the first time at the Mortemer Abbey a troop of fighters on foot: Les Ecuyers de l'Histoire, which will allow you to immerse yourself thanks to their military training camp. 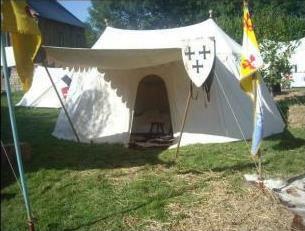 The Chevaliers of the County of Boulogne will also be present with their camp. You will also find new medieval dances and unpublished fables played and told by Vytas Kraujelis and his band. Dive into the Middle Ages thanks to the presence of artisans and a medieval market. Don’t miss our new Show : Empress Matilda ! The Mortemer Abbey (Lisors), Cistercian abbey from the 12th century, listed as Historical Monument, is proud to present its new 2017 show, dedicated to Empress Matilda, a benefactress in Normandy and in Rouen. This year, to honor the 850th anniversary of Empress Matilda’death, you’re invited to discover a new show about this great lady of our history. She was the granddaughter of William the Conqueror, the daughter of Henry I Beauclerc (also known as Henry I of England), founder of the Mortemer Abbey, the mother of Henri II Plantagenêt (Henry II of England), Duke of Normandy and King of England, and the grandmother of Richard Coeur de Lion, or Richard the Lionheart. Empress Matilda has thus a great importance in the history of the English Crown: she wasn’t just a daughter, a wife or a mother of a king, she was also a woman struggling in a world of men to assert her rights on the Throne of England. This new show (90 minutes approximately) will be performed by the group Vytas Kraujelis (also stage director of the show). In the morning, animation on the role of women during the Middle Ages, in the Chemin des Ducs. 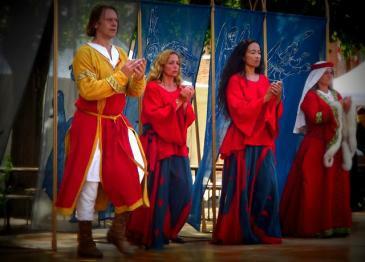 Medieval Dances in the early afternoon. Guided tours and circuit around the ponds, inside a rustic train (all day, from 11am to 7pm). From April 1st, the park and the museums of the Mortemer Abbey will be open from Monday to Sunday, from 1.30 pm to 6 pm. For summer shows, book your tickets now on our online ticketing service! Our association is pleased to announce the opening of a fishing course exclusively to the fly, in the bodies of water of the Abbey. An inauguration will take place on Saturday 18th and Sunday 19th March, from 8.30am to 1pm, upon reservation. For this opening weekend, the number of places is limited: book by email (mortemer@orange.fr) or by phone (02.32.49.54.37)! Discover the schedule of cultural season 2017 ! 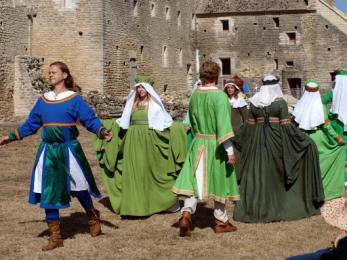 It will start on 15 July with the events days of the 850th anniversary of the death of Mathilde l'Emperesse. Online bookings will soon be available. The Mortemer Abbey will reopen on January 7! We will welcome you each weekends from 1.30 to 6 pm. Until then, we wish you wonderful Christmas holidays! During all summer, the Mortemer Abbey offers cultural shows linked with the historical and literary heritage of Normandy. For 11 years, on each season's end, we welcome the public for "the Ghosts Night". Each year, and from the beginning of this show, new scenes relating life after death are presented. In order not to betray this tradition, the Ghosts Night 11th edition will present you best extracts from previous creations and new scenes of ghosts' life. Exhibition of old muppets created for the show "Mathild the Empress-the war for the England crown"
Encampements:with honour guest "The warriors of the Grand Duchy of Lithuania", but also "Fratres & Milites". Saturday 16, Sunday 17, Saturday 23, Sunday 24 July and Saturday 6 August. From 11 AM to 7 PM on Saturdays, and 11 AM to 6 PM on Sundays. Celebrating the 950th anniversary of the Battle of Hastings, an event which has received the "Medieval Normandy" label. Program: "The sword, the crown and the parchment"
A path with 15 sculptures representing the Dukes-Kings from 911 to 1204 (13 dukes and 2 duchess). A text will give historical facts and extracts from the medieval anglo-norman literature. At 3.30 pm : The Dream Bird, from Yonec's "lay"
Little train is included in the prices. Bookings on mortemer@orange.fr or by clicking here. From 1 May to 31 August, the Mortemer Abbey will open daily from 11am to 6:30pm. Don't forget to book your tickets for events and shows of season 2016. From July 16 to September 17 2016, the Mortemer Abbey greets you for celebrations and shows filled with surprises and emotions! From July 16 to August 6, the Mortemer Abbey invites you to discover many aspects of Medieval Normandy, Anglo-Norman State, and poetic writing. Five engaging days spread on 3 weekends, during which you may visit artistic exhibitions and slip in the suit of a woman or a lord from the 12th century. The sword: Animation of the Duke path with William the Conqueror as main character. The crown: Animation showing the administrative system in Anglo-Normand State. The parchment: Fables’ program, “The Dream Bird” show according to Marie de France’s writings. Exhibition of costumes "From William to Jean"
These animations will be concluded on 13 and 14 August, with a banquet followed by a nocturnal show "The Dream Bird", according Marie de France's lays. You were waiting impatiently for them: The Abbey's Ghosts will come back to haunt you for edition 11th, on Saturdays, from August 20 to September 17. By beginning this second decade, the new one, edition 11th will present best extracts of old creations and will offer you new scenes of ghosts’ life. New: Book your tickets online here and pay in advance with Paypal! Do not wait too long: Tickets are limited! Moreover, until June 30, you got a 3 euros discount per capita! Opening of 2016 cultural season! Do not miss the opening of 2016 cultural season of the Mortemer Abbey, on Easter Sunday, March 27, from 11 am to 6 pm ! Discover the schedule of cultural season 2016! It will start on Sunday 27 March with Easter games and Puppet Show animations. From January 9, the Mortemer Abbey welcomes you on saturdays and sundays from 1.30 to 6 PM. Basement visit with legends will be separated from theme appartements. You will be allowed to choose to visit only one of them or both. Visits of the park and of the Dukes Path will be open too. To wait patiently until next cultural season, discover a retrospective with music of 2015 Medieval Festivals on last August, 15 & 16 through an editing realised by "L'Impartial" newspaper. A new creation for 2015 ! historical and literary heritage of Normandy. For 10 years, on each season's end, we welcome the public for "the Ghosts Night". In order not to betray this tradition, the Ghosts Night 10th edition is fully new and has lots of surprises in store ! Remember to book online ! The regional news show of "France 3" broadcasted a coverage on the Medieval Festivals of the Mortemer Abbey. Important fighters and professional Stuntmen camp, reconstruction of a military camp and its garrison demonstration set, tournaments of horsemen fighting. "Win the gold ring" game will take place during these two days of animations. Visitors will be invited to drive around on the artistic & educational path in company with the animators. Six texts and fourteen have been translated and adapted specially for this animation and will be recited in today's french for you. To participate in the game, you will just have to answer questions in a form using the stories you will have been listening to. Last start to 5 PM. According to a lay by Marie de France, a 12th century poetess. 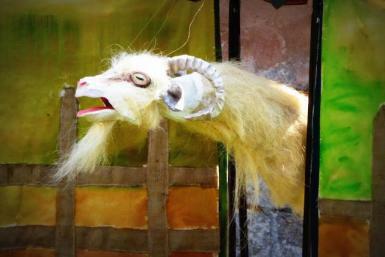 The Dream Bird is an Open air theatre show with puppets, dance and songs staged by Vytas KRAUJELIS. The story narrates a child birth with sensitive subjects of the period such as unequal mariage, loveless mariage, or the dream of the perfect love. It is totally accessible to children. Dates: May 24th, June 6th and 20th, July 18th. From May 1, The Mortemer Abbey will be open every day! You can now visit the museum and the park from Monday to Friday from 11AM to 6PM. Drive around the romantic ruins in the park, or walk on the way of the Dukes of Normandy, or visit the legends and ghosts museum and the Fountain of Singles! A successful opening day for season 2015! Easter Sunday 5th April, the opening day to introduce season 2015 was a huge success! The sun was here and the visits was higher than our expectations! You were many to participate in search of clues to answer our quizz to win free entries, bowls and chocolates! History and culture lovers were not forgotten with shows of our Medieval Company and Marie de France's Fable read by Vitas Kraujelis and her actors company. Thanks to all of the volunters, and all of you for this convivial day. We really hope to see you again soon for our next shows! For the first time on Easter day, The Mortemer Abbey invites you to a convivial and surprising party, with many games, winning prizes and others discoveries! The Medieval Company “FratresMilites” Shows with details about daily life on the Middle Age and combat displays. Get ready to discover the upcoming cultural season in a totally different way! For more information, contact us by email (mortemer@orange.fr) or by phone +33 2 32 49 54 34. The bookings for the shows of the 2015 season of the Mortemer Abbey are now open! It will take place from 24th May to 19th September 2015. Last year our shows were a big success and many were played to packed houses. With our number of visitors constantly increasing, we advise you to book your tickets as soon as possible! Download the flyer of season programme 2015 or discover the animations for this year online! From this Sunday 21th February, The Mortemer Abbey will be open on weekends, from 1.30pm to 6pm. Come and stroll in our garden, near our ruins, around our ponds and on the Dukes path : over this period, when days are often foggy, the atmosphere can be quite mysterious. The guided tour on the museum will make you go back a few centuries, with fascinating stories and legends. For more information, contact us by phone +33 2 32 49 54 34 or send an e-mail to mortemer@orange.fr. From Sunday 18 January 2015, the Mortemer Abbey welcomes you on Sundays. Come and enjoy the Park and ghosts museum from 1.30pm to 6pm. The entire team of the Mortemer Abbey would like to convey to you its very best wishes for 2015. Watch our wishes in video. On Sunday 23 November 2014, the last opening day of the 2014 season, the site was filled with visitors. We thank you for your loyalty and for your interest in our Abbey. We invite you to join us next year for a new season with an exciting program. Until then, we would love your feedback. Don’t hesitate to share your experiences on Facebook, Twitter, TripAdvisor, and our Guestbook. Until 23 November 2014, The Mortemer Abbey continues to welcome you from 1.30pm to 5.30pm on weekends and public holidays. Come and enjoy the Park and its sparkling autumnal colours, the legends and ghosts museum, before annual closure. If you liked your tour, feel free to write a review on our Guestbook and TripAdvisor. 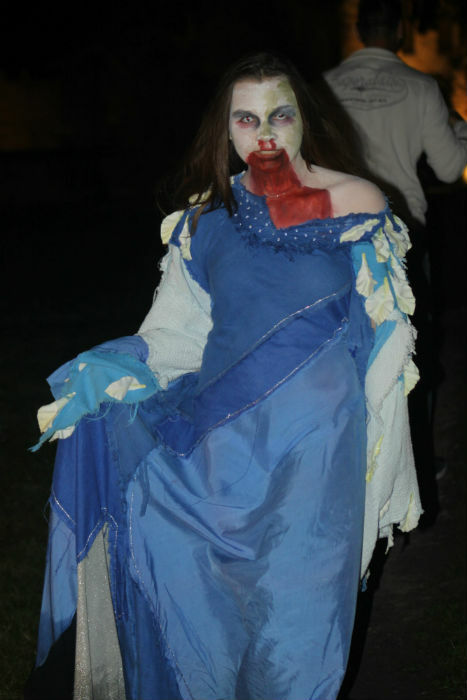 The 2014 Season ended on a high note this week with the show “Ghosts Nights”. The Mortemer Abbey continues to welcome you from 11am to 6pm on weekends and public holidays. We invite you to follow us on Facebook and Twitter to keep you informed of our news. Feel free to write a review on our Guestbook and TripAdvisor. The whole team of actors and volunteers thank you for your continued support. From Saturday, August 23rd to Saturday, September 20th, the show “Ghosts Nights” has been sold out. Click here for more information about this night show. Monday to Wednesday : from 1:30 p.m. to 6:00 p.m. Weekends and public holidays: from 11:00 a.m. to 6:00 p.m.
Groups leaving every 20 minute starting from 9:00 p.m.
Book your tickets online right now and don't forget to specificate which Saturday you will be visiting the Abbey ! The regional news show of "France 3" broadcasted a coverage on the Medieval Festival of the Mortemer Abbey. Find them here. From August 23rd to September 20th the Abbey will welcome for this special event every Saturday at 9PM (cashier's desk opens a 8.45PM). Blacksmith Shop: horseshoe-making by the freeholders of François de Saint Florent sur Cher. Pony riding with the "Domaine de Lorleau"
Knight fights with the companies " Clan ALDAELENDOR "(Vikings) and "Fratres and Milites" at 11:00 a.m, 12:30 p.m, 2:00 p.m., 2:30 p.m., 3:00 p.m., 4:00 p.m., 5:00 p.m. and 6:30 p.m. Tourney with "Les cavaliers de la plaine de France", 3 astonishing horsemen will present you "Le geste du conte de Beaumont" and Taming and Vaulting at 3:30 p.m. and 4:30 p.m. Performances by the association "Aux Temps de l’Abbaye"
The show "Prodigious Stories" ended on a high note on July 13th. The Mortemer Abbey's 2014 event season will go on with "The Dukes path" starring professional actors. Book your tickets right now and come enjoy an exceptional event with us. Dates: Saturday, August 2nd - Sunday, August 10th. Time: 2.30 PM - 5 PM. Prices: +3€ for adults and children (free for accompanied children under the age of 6). In some parts of the globe, people believed that ghosts come back in July to haunt the living and to enjoy food, shows and games and also that you had to send them out with a big feast so that they wouldn't bother you. And we will welcome you to this feast on Sunday, July 20th for an exceptionnal performance created to surprise our visitors and talk about the past of the Mortemer Abbey and its ghosts. This day will be animated with games and music to send off the evil spirits. And our youngest visitors will be able to disguise themselves and get fancy make-ups! At the end of the day a great parade will be held and a big bonefire will see the ghosts off to the otherworld. Prodigious Stories: the last one! Fifth and last performance of Vytas Kraujelis and his puppets! "Prodigious stories" will be performed for the last time on Sunday, July 13th at the Mortemer Abbey. Don't miss the event and Fifth and last performance of Vytas Kraujelis and his puppets! "Prodigious stories" will be performed for the last time on Sunday, July 13th at the Mortemer Abbey. Don't miss the event and book your tickets online right now! String puppets: 11 AM, 3 PM, 4 PM. On Pentecost Sunday, there were more than 300 spectators to discover the "Prodigious Stories" performance at the Mortemer Abbey. Vytas Kraujelys and his puppets will be coming back on Saturday, June 21st and Sunday, July 13th for the last two performances. Book your tickets right now and come spend a wonderful day in the park of the Mortemer Abbey. On the Week-end of the 24th and 25th, the regional news show of "France 3" broadcasted two coverages on the Mortemer Abbey and on Vytas Kraujelis and his puppets. Find them here et don't forget to comment on our official Youtube channel ! It's time for a third performance of the show featuring Vytas Kraujelis and his puppets! "Prodigious stories" will be presented to you on Sunday, 8th June at the Mortemer Abbey. With our number of visitors constantly increasing, we advice you to book your tickets online as soon as possible! 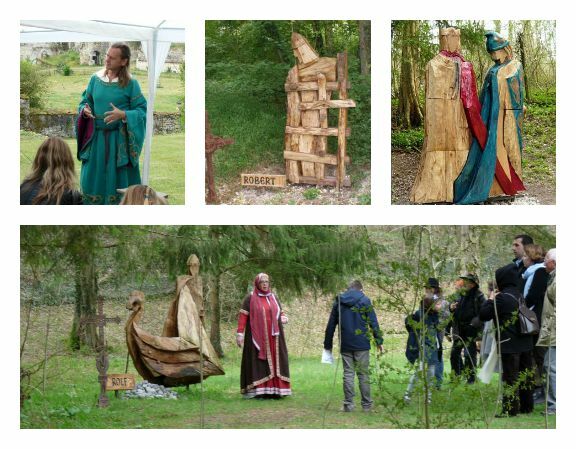 The News broadcast of "France 3 Haute-Normandie", will broadcast a story about the Mortemer Abbey and Vytas Kraujelis and his puppets on May 24th and May 25th. Don't miss those two shows and find them on our website very soon ! Our performance of "Prodigious Stories" on Easter Sunday was a big success. For those who could not attend or those who want to see it again, be informed that another performance will be held on Saturday, 24th May at the Mortemer Abbey. Book your tickets right now et come enjoy an exceptional event with us. Prodigious Stories : First performance on Easter sunday! Created by the company of the Abbey and directed by Vytas Kraujelys, the show "Prodigious Stories" is composed of string puppets and life-sized puppets shows which will be performedas of April, 20th at the Mortemer Abbey. Book your tickets right now et come enjoy an exceptional Easter sunday with us. Dates: Sunday, April 20th - Saturday, May 24th - Sunday, June 8th - Saturday, June 21st - Sunday, July 13th. Time: String puppets: 11 AM, 3 PM, 4 PM - Life-size puppets : 4 PM. Dates: Saturday, August 23rd - Saturday, August 30rd - Saturday, September 06th - Saturday, September 13th - Saturday, September 20th. Time: By night, starting at 9 PM (cashier's desk opening at 8:45PM). Group start every 20 minutes until 10:30 PM. Prices: Adults: 12€, Children (from 6 to 16): 8€ (free of charge for accompanied children under the age of 6). >>> Book your tickets now! Starting from April 14th, the Mortemer Abbey will be pleased to welcome you from 1.30 PM to 6 PM on weekdays and from 11 AM to 7 PM on the weekends and public holidays. Download the flyer of season programme 2014 and discover the animations for this year! Discover the new version of the site of the Mortemer Abbey in English for the greatest pleasure of all foreign visitors! This translation will allow everyone to discover the Abbey of Mortemer, its atmosphere and its many shows. A membership card is available, to the home of the Abbey, priced at € 35. Free unlimited entries for tours, the park and all the festivals & events! A €2 discount on the entrance fee for any non-participant accompanying you!